1. Reduce the 1/2 cup balsamic vinegar for 8-10 minutes. 3. 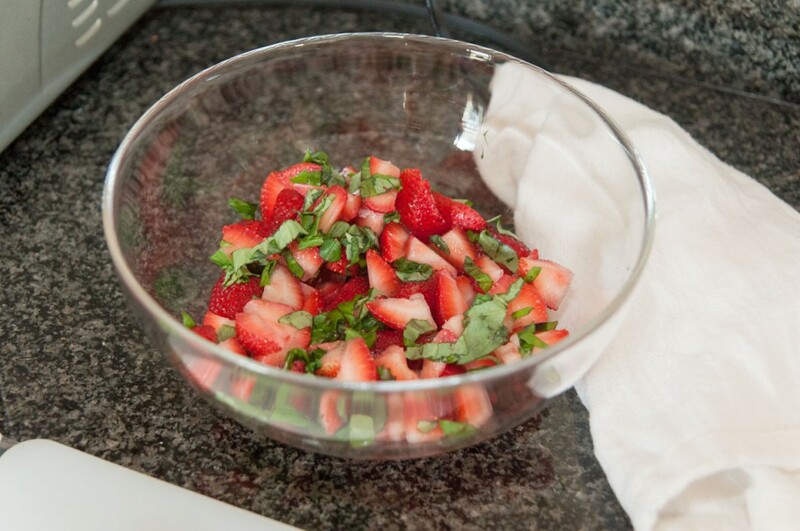 Combine strawberries, basil, salt, pepper, and reduced balsamic vinegar. 4. 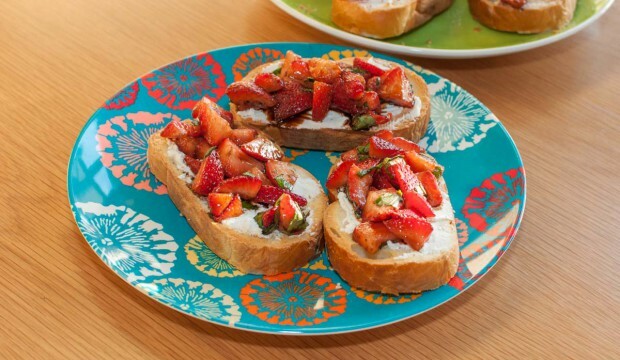 Spread goat cheese on toasts, and top with strawberry mixture.